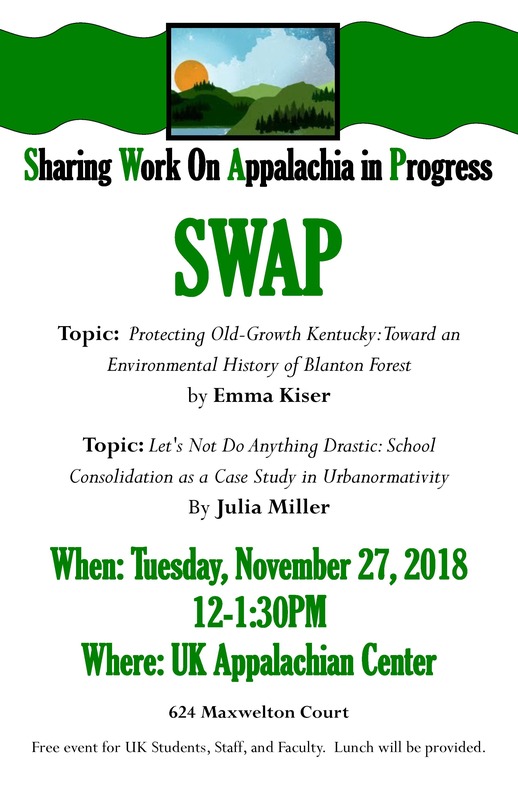 Our second and third SWAP (Sharing Work on Appalachia in Progress) presentations were held on November 27, 2018 12PM-1:30PM at the UK Appalachian Center. Emma Kiser's presentation "Protecting Old-Growth Kentucky: Toward an Environmental History of Blanton Forest," and Julia Miller's presentation, "Let's Not Do Anything Drastic: School Consolidation as a Case Study in Urbanormitivity" were very interesting and caused many thought provoking questions from those in attendance. 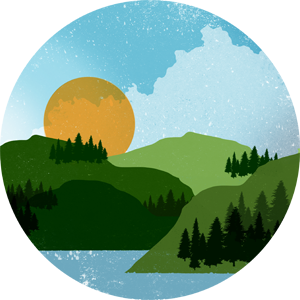 Both Kiser and Miller are recipients of Appalachian Center's Eller & Billings Student Research Award, an award given to studnets who are focused on furthering the conversation of sustainability in the Appalachian region. UK faculty, staff and students enjoyed a catered meal from The Simple Greek. We look forward to our next set of SWAP presentations coming in Spring 2019, and hope you will join us!